*On Approved Credit. Click for details. 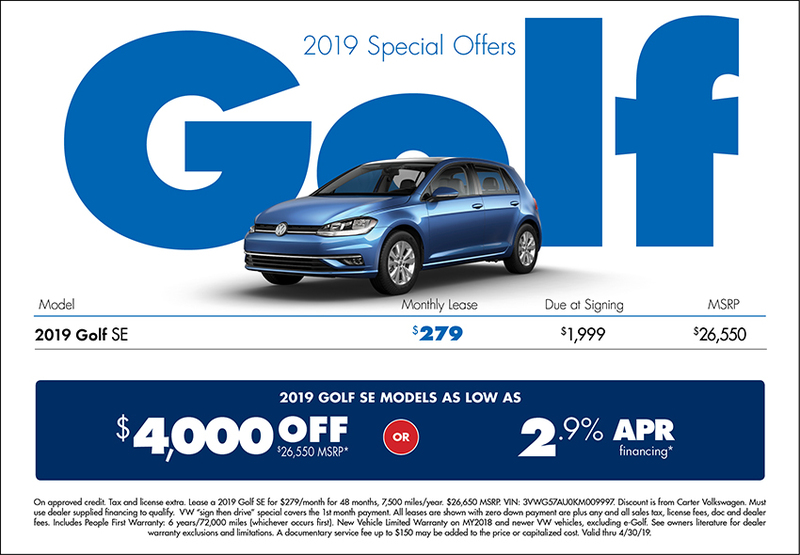 A perennial favorite among driving enthusiasts, the 2019 Volkswagen Golf is on sale now at Carter VW. 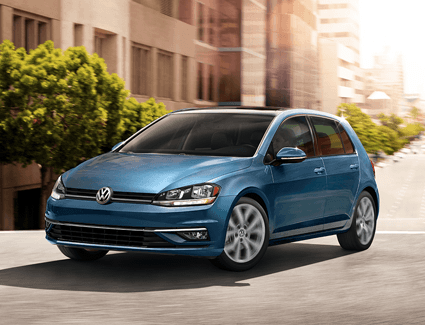 Updated with more standard features than ever, you can get the same legendary chassis that has made the Golf one of the best compact cars to drive. 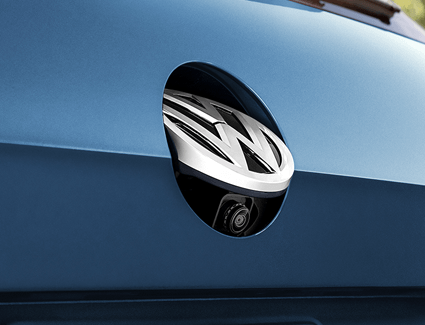 With the perfect blend of serious driving ability and the creature comforts that keep you relaxed, there’s never been a better time to check out the 2019 Volkswagen Golf thanks to this special offer. 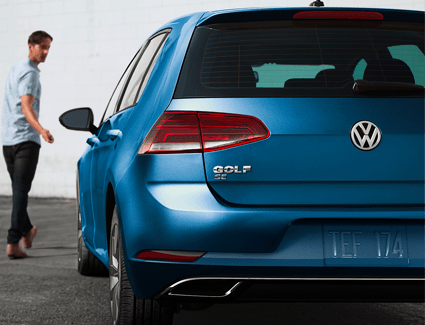 We also invite you to browse our convenient online inventory and view the various Golf models we have in stock. 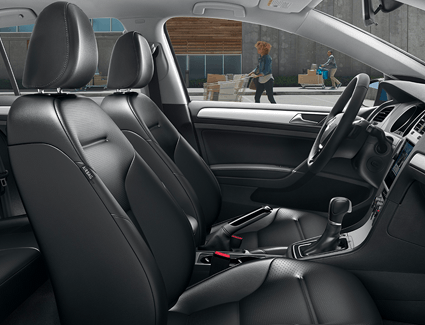 Once you find the one you like, schedule a test drive. We’ll have it ready to roll as soon as you reach our dealership.